It has often been said that the most important word in the college’s name is “community” and over the last few weeks Reynolds faculty, staff and students have been carrying on the tradition of helping out the less fortunate in our community. With the winter cold fast approaching, the college created a “warming tree” to collect hats, mittens, gloves, scarfs, infant items and personal hygiene items that were donated to Richmond’s Family Lifeline organization. Located in the City of Richmond, Lifeline is designed to bring health and hope directly into the homes of Central Virginia’s most vulnerable children, families, and seniors. Over 200 items were donated to help assist some of our community’s needy in the upcoming months. 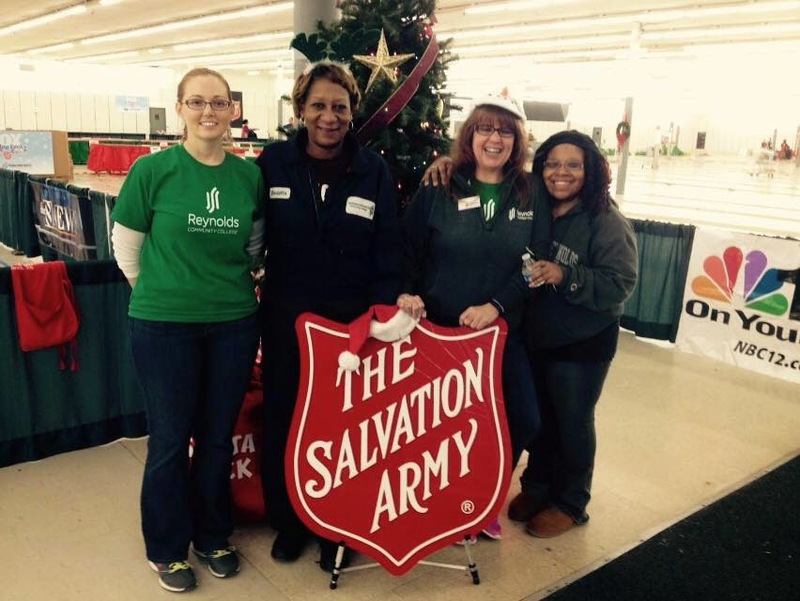 A number of Reynolds employees also volunteered recently at the Salvation Army of Central Virginia distribution center as part of the Angel Tree program, which assists thousands of parents in Central Virginia with emergency assistance. According to the Salvation Army, for many kids, the gifts they receive through Angel Tree will be the only ones they open on Christmas Day. Also because many of the local elementary schools’ fall school supplies run short throughout the year, Reynolds is conducting a school supply drive. The college hopes to deliver 400 new school supplies including crayons, glue, paper, pencils, notebooks and erasers to the City of Richmond’s Westover Hills Elementary School in January. As many eager-eyed prospective students filled the Gallery at Georgiadis Hall, J. Sargeant Reynolds Community College was ready to kick off their Transfer Information Night on Wednesday, December 3rd. As each student and parent entered, they were handed a packet of information on Reynolds’ guaranteed transfer agreements with the many colleges in attendance. Proceeding to the exhibit presentation area, the perimeter of the room was filled with college representatives from around the state. Those in attendance included Virginia Tech, University of Virginia, Old Dominion University, University of Richmond, Virginia Commonwealth University, and James Madison University. With the students and parents settled into their seats, the presentation began with a short introduction from Tracy Green, Director of Outreach and Recruitment at Reynolds. Christine Joseph, Recruitment Coordinator, spoke about Reynolds transfer options and played a short video of an alumnus who utilized the transfer program and is now in a successful career. Robin Beale, Transfer Counselor, came up to speak about the requirements when applying and everything that Reynolds has to offer. She then greeted all eleven admission representatives from each college to come up to the stage to briefly introduce themselves. Each representative stood up and introduced the crowd with their name, the college they were representing, and what their particular college was looking for from a transfer student at Reynolds. As each representative stood up, many spoke about specific grade point averages to attain, while both the VCU and UVA representatives said preparedness is a huge entity that each college looks for in a student. They said they want to see that the classes the student took here at Reynolds were all in preparation for a certain path that the student would like take at either UVA or VCU. As the presentation began to wrap up, the students and parents were advised to make their way around the room to visit the different college representative’s booths and gather as much information as needed. Crystal Stephens is an extraordinary individual who works as a staff member at Reynolds while also pursuing her degree in Business Administration. Fellow student and Phi Theta Kappa Honor Society member Dylan Chapman recently interviewed Crystal to find out the challenges and rewards of working at Reynolds, while also returning to the classroom. D.C. - What is your position as an employee, and as a student, here at Reynolds Community College? C.S - I have been working for Reynolds Community College since November 2013 as the Custodial Supervisor on Parham Road Campus. This is my third semester at Reynolds Community College and my major is in Business Administration. I’m currently working towards my Certificate in Entrepreneurship in Small Business. D.C. - Why are you pursuing a degree while already employed? Are you changing careers, starting a new major or looking for professional development? C.S - I am currently pursuing a degree for my own professional development. Not only would I like to move up in rank within the department, but one day in the near future, I would like to own a commercial cleaning business contracting to state government agencies. D.C. - Describe what it is like being a part-time/full-time employee at the college you are studying at. How is it scheduling-wise, and what do you take from your studies to apply to your job? C.S - While working full-time and studying part-time it is indeed hard to juggle that “work-life” balance. Both work and studying require constant attention, however it causes the personal life to go lacking thereof. Weekdays are now dedicated to my job as well as school duties and my weekends are solely for my personal life. D.C. - What are your accomplishments as an employee and as a student here at Reynolds Community College? What have these accomplishments meant to you and how have they helped you develop? 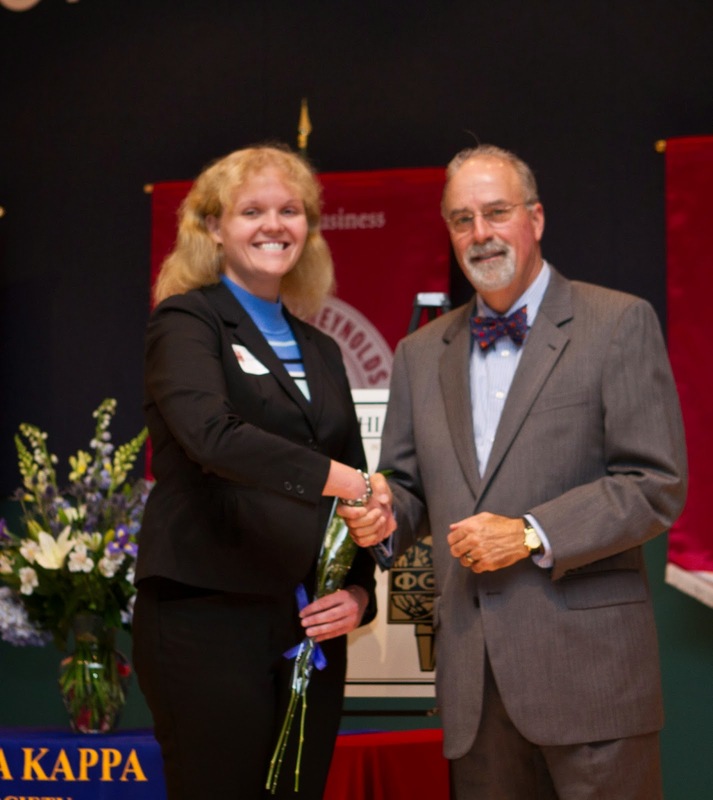 C.S - During the Fall Convocation, on Tuesday, October 7, 2014 I received the Grande LEAPer award. On Saturday, November 1, 2014 I was inducted into Phi Theta Kappa. Being inducted into Phi Theta Kappa is most certainly an honor and acknowledges the accomplishments that I have made. D.C - Do you feel that it is important to continue learning in some form despite being employed? Do you feel further education in some form helps an employee’s performance? C.S - I think that it is very important for individuals to continue learning even while employed as entry level credentials are increasing along with skill requirements. The demands of the industry are always changing, the software is always becoming more complex, expectations are always on the rise, and given the opportunity to take courses will help enhance our skills making us more marketable. Reynolds student Dylan Chaplin - Dylan is serving as a PR Assistant and a Student Ambassador this fall. He also served as the Vice-President of The H.E.A.R.T Service, which is a community service and civic engagement club designed to create connections between Reynolds and its surrounding communities. During his first two semesters at Reynolds he successfully completed the college's Leadership Program, JSR LEAD. In his spare time he likes to blog.